Each year, outdated alarm systems are believed to be partially responsible for the loss of millions of pounds. Alarm management is an important topic for any industrial site or facility that needs to be efficient, as effective factory management depends on a process that can respond to frequently changing conditions so that the root causes can be quickly identified. Critical alarms come from various sources including; critical machinery, fire alarm, lone workers and other business critical assets and must be managed with a high level of priority. Failing to do so can have serious consequences and will likely result in additional costs that most companies would like to avoid or nullify. The first step in implementing a critical alarm management solution for your company is to identify the areas that can cause significant delays or an increase in production costs if not properly addressed quickly. A technical fault with a machine for example a fault with an oven in a food production industry. 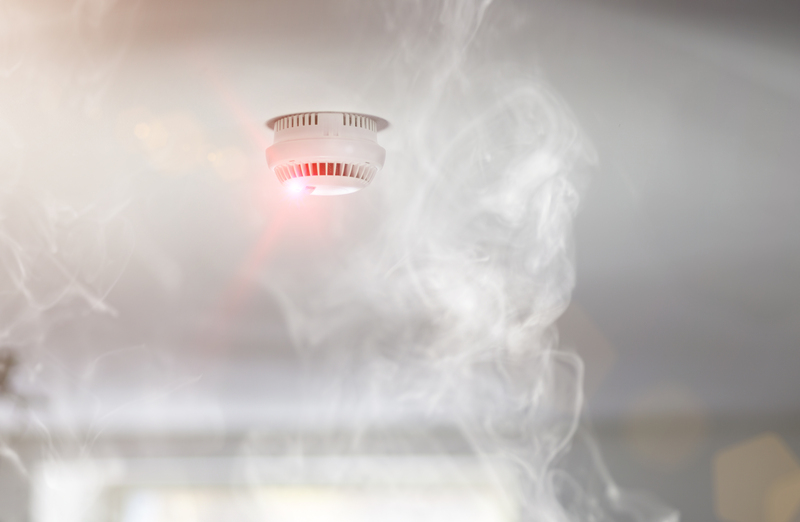 A faulty smoke detector or heat sensor triggering a false alarm and unnecessary site evacuation. A fault to the industrial effluent treatment plant resulting in a build-up of waste water. An injury to a plant operator on a single-man site, which means production might not properly be overseen causing other issues and consequences. To ensure such events don’t go unnoticed most companies will adopt some sort alarm management system e.g. Building Management System (BMS), Programmable Logic Controller (PLC), Distributed Control System (DCS) that will monitor machines, fire alarm and power systems, and provide the status of each system on large screens, in a control room. Staff working in the control room are responsible for spotting any issues and co-ordinating a response with the relevant team or if working on a one-man site dealing with the issue themselves. Why is this alarm process inherently flawed? The whole process is very reliant on staff monitoring the control room 24/7 and being able to spot the critical alarms from all the other alarm information presented on the screens. However, though this may sound straight forward enough – the reality is very different as alarms aren’t presented evenly and consistently throughout the day and night to make it easy for companies to man their control rooms constantly. Some companies don’t have enough alarms and therefore, have a process where staff will check the system periodically through the day. Though this is often fine for frequent low priority alarms, will often result in unnecessary production seizures or other significant consequences when a less frequent and more damaging critical alarm crops up. On the other end of the scale, some businesses have too many alarms that justifying manning the control room is less of an issue. Instead they have difficulties reacting and co-ordinating a response. It’s not the operators’ fault – it is merely the volume that is the main challenge and with their attention is drawn, often with low priority alarms, they simply don’t spot the critical alarm in amongst all the other flashing lights and information. By the time it is spotted, they then must go through a time-consuming process of contacting a response team, each one in-turn until they reach a colleague that is free and available to manage the incident. Why are Critical Alarm Management Systems so important? As useful and effective as Alarm Management Systems are, it is important to note that they don’t alert – you must be in front of the system to see the issues. Critical Alarm Management Systems automates the alarm process and removes the ‘over dependency’ of the control room operators from the sequence of events. Alarms are still be presented in the control room, however, they’re also directly presented to the corresponding team that need to manage the event, i.e. a fire alarm would go to the fire marshal team, a technical fault to the engineering team and so on. As teams are mobile on site, alarms are presented directly on their mobile device (a smartphone, radio etc) causing it to sound and vibrate. And to provide transparency, a member of the team must acknowledge the alarm; this updates the rest of their colleagues but also updates the control room, which means that anyone spotting the alarm will also see that it is being managed and know they don’t necessarily need to get involved. If no one accepts the alarm within a pre-determined time frame, it escalates to an alternative group – so it is never missed. Manufacturing companies should review their alarm management system and look beyond their control room and assess how critical alarms are managed - doing so could have a significant impact on their plant's annual loss due to machine failures, outages and incidents. Improperly configured alarms and a poor alarm management strategy have been proven to contribute to serious accidents, such as the Milford Haven explosion in 1994. The costs of plant downtime are frequently underestimated and in today’s highly competitive environment where operating profit margins are often very narrow, minimising unplanned factory shutdowns, and reducing the impact of incidents and emergencies can make all the difference to companies’ bottom line.